Are you serious about starting a company or incorporating? If so, you will need to determine which type of business ownership structure, form or entity is best for you. This article focuses on the first four types of business entities above, which are the most common for small businesses in the United States. I’ll also touch on the Corporation entity, which applies mostly to large companies. As someone who has started five businesses, let me acknowledge the “paradox of choice” upfront. Even though there are just a handful of choices of the type of company you can form, they can seem overwhelming. You may feel confused, especially if you are just starting a business for the first time. That’s natural! Every time I get ready to “officially” form a new company, I struggle with this decision. 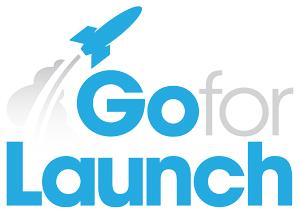 When I developed Go For Launch, my intention was to research the choices below thoroughly, once and for all, so I’d be super clear myself on the pros and cons of each business entity. Don’t agonize too much over the decision to form a corporate entity. You are better off getting something formal in place rather than waiting interminably. You can change to another corporate type later. You’re not locked into one structure forever. All of these options below are available to you as an entrepreneur! Look past all the superficial complexities, and understand you can literally form a company in a matter of days and for a reasonably small amount of money. 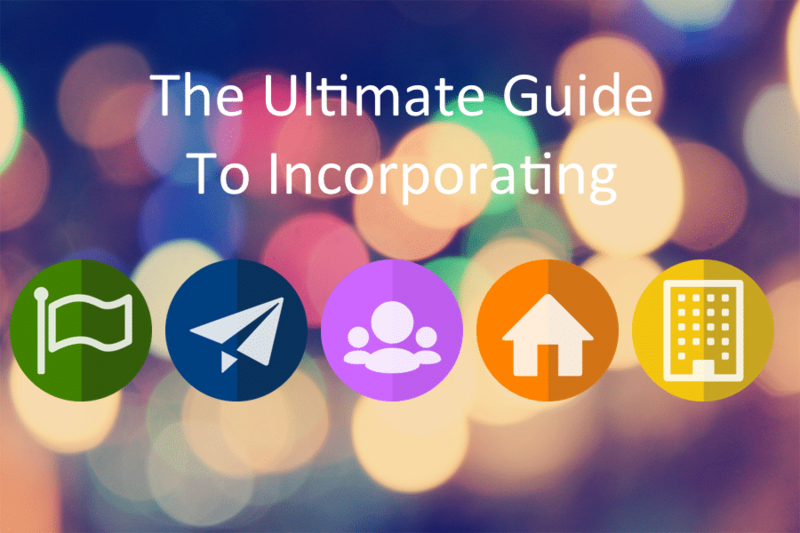 There are resources that can help speed up the process of incorporation. Two of my favorites are Northwest Registered Agent and LegalZoom; however, if you want to save money, you can contact your state’s department of revenue or secretary of state’s office and file the paperwork yourself. You should expect to pay anywhere from a few hundred dollars to several hundred dollars (about $200-$800) to incorporate. That’s typical and can done at the lower end of that range if you keep things simple. However, if you are starting out with a bunch of partners or some other complicated circumstances, you can expect to pay more—because the process will likely involve consultations with lawyers and accountants. Speaking of lawyers and accountants, you will see a lot of advice online to consult with either an attorney or an accountant or both before you form your corporate entity. I’ll second that advice. Starting a company will affect you personally and financially, in ways you cannot anticipate in the beginning. It’s worth paying for a professional’s advice with a decision this important. A sole proprietorship is an unincorporated business owned by one person. However, it does not have to be simply a “one person shop.” Sole proprietorships may include large enterprises with many employees and hired managers and part-time operators. As a sole proprietor, you get to run the entire show and be 100% responsible for your business’ success and earnings—along with any potential debts, losses and liabilities. If you—just you and no one else—is interested in doing business “as yourself,” then being a sole proprietor is the simplest way to go. There is no paperwork to file and no fees to pay. However, depending on the nature of your business and where you are conducting business, you still will need to obtain necessary licenses and permits. Make sure you check the regulations for your city, state or industry. The Small Business Administration has a comprehensive Business Licensing & Permits tool with a listing of federal, state and local permits, licenses and registrations you will need to operate a business. A big decision for sole proprietors revolves around taxes. Unlike other entities that offer some options for paying on a portion of earnings at a reduced tax rate, sole proprietors have to report all their earnings as wages at the normal tax rate. That last part, liabilities, is key. What it means is you, personally, are completely on the hook for anything that happens from a business standpoint. If you get sued for any type of business negligence, you will be personally liable or legally responsible. You’re putting yourself, personally, and all your personal assets at risk. And if heaven forbid the business must be dissolved and you owe (and cannot pay) creditors, you may face personal bankruptcy. I have started out in business as a sole proprietor a few times. But it always feels risky—and it is. Here’s something else to consider: To me, being a sole proprietor doesn’t feel like a “real” business—no matter how “big” you start getting. And you miss out on the personal and tax benefits of a formal corporate structure. All the mature entrepreneurs I know have formed an LLC or S Corporation. A partnership is another form of unincorporated business owned by two or more people, each of whom has a financial interest in the business. In my experience forming different companies with several partners, we never considered forming a “Partnership” entity per se. However, we addressed various issues of the “partnership” structure through a different entity (in my case, using several S Corporations), along with separate legally binding Partnership Agreements. In any type of “partnership,” you are well advised to consult with an attorney in order to clearly document things like percentage of ownership, compensation, individual roles, dispute resolution, recourses for partners leaving the company, etc. Partnerships are an older, well-established entity. Until 1977, corporations and partnerships were the only business structures available in the U.S. Today, however, they are not as popular a choice. Many advisors that my partners and I consulted never recommended forming a partnership. Partnerships do begin to provide tax advantages beyond the sole proprietor stage. Corporations, explained in more detail below, are unique in that their profits are taxed both at the corporate level (the company pays taxes on its earnings) and on dividends paid to shareholders. This is commonly known as “double taxation,” and it is something most small business owners try to avoid. The Limited Liability Company, otherwise known as an LLC, is a popular option for many small business owners. It is the entity I chose for Go For Launch, LLC. Where I live (North Carolina), I wasn’t too concerned about these “extra” fees…but in some places (California or New York, for example), they can add up to hundreds of dollars a year…so do your homework! For multi-member LLCs, all owners must enter into an operating agreement to specify members’ different rights and responsibilities. LLCs also must register articles of organization with a relevant state office. The articles of organization generally identify the LLC’s name, the location of its principal offices, the identities of its owners, any planned LLC term or duration, and any other statutory requirements. Similar to Partnerships, LLCs are taxed as a pass-through entity. This means that ALL the profit you earn in an LLC must be reported as a wage on your personal taxes at the end of the year. You can still use the profit to further your business purposes, but you will still pay taxes on ALL the profit as if you paid yourself a wage. You also must pay the normal Social Security and Medicare taxes in addition to self-employment taxes on all the profit of your LLC. There is an opportunity for LLCs to “elect” to be taxed just like an S Corporation. At the beginning of any year, you can elect to change your tax status with the IRS and be taxed as an S-Corp. You cannot, however. decide at the end of the tax year that things went better than expected and change your election—it has to be declared at the beginning of the year. In choosing to be an LLC that is taxed as an S Corporation, you can opt to pay yourself a “reasonable wage” and pay the normal taxes for those wages. However, at the end of the year, you have the option to take the remaining profit as a dividend. Dividends are not taxed as wages, and you will pay a lower tax on the dividends (about half as high, depending on a number of factors). To take advantage of this, you will be responsible for defending your “reasonable wage” to the Internal Revenue Service (IRS). For example, if you operate a successful business that makes $100,000 in profit and you pay yourself a “reasonable” wage of $1,000/month, you’ll have a hard time defending that wage to the IRS. Let’s say you make a profit of $100,000 in a year using your LLC and you pay yourself a wage of $5,000/month ($60,000/year). If you are taxed as an LLC, you will be taxed on the remaining $40,000 as a wage and pay the full tax amount on your personal tax return at year end. But if you are taxed as an S-Corp, and you pay yourself the same $5,000/month wage, you would pay yourself that $40,000 remainder as a dividend and pay significantly less taxes on that portion of the profit. Some would argue it only makes sense to be taxed as an S-Corp if your LLC is making a good profit. For example, if your LLC is only making $20,000 in profit, you wouldn’t be able to justify a low enough “reasonable wage” to leave any profit left at the end of the year to pay a dividend. Companies such as Northwest Registered Agent and LegalZoom can help you form an LLC and file your S-Election with the IRS. An S-Corporation or S-Corp is a corporation that has received the Subchapter S designation from the IRS. To get this, you must first charter the business as a corporation in the state where it’s headquartered. Then, you must file to be considered an S-Corp. The IRS considers S-Corporations “by law to be a unique entity, separate and apart from those who own it.” This allows for a limit on the financial liability for which an owner (i.e., a shareholder) is responsible. Just know, this liability protection isn’t foolproof. A plaintiff against you in a lawsuit may be able to “pierce the corporate veil” and go after your personal assets. What distinguishes the S-Corporation from a traditional corporation (C-Corporation) is the ability to have profits and losses “pass through” to the shareholder’s personal tax return. In this way, the business itself is not taxed, only the shareholders. However, there is an important caveat: any shareholder who works for the company must pay him or herself “reasonable compensation.” Each shareholder must be paid fair market value, or the IRS might reclassify any additional corporate earnings as wages. C Corporations generally represent the “big dogs” of industry. While they account for only 6% of U.S. businesses by type, they generate 65% of sales (source: Ernst and Young). Ownership of a corporation is made up of investors or shareholders. Each investor or shareholder owns a portion of the company. A board of directors manages the interests of the shareholders. Corporate tax rates are different than those for sole proprietorships or other unincorporated businesses because of double taxation, as described above. One important benefit of the corporate entity is that it has continuous life. That means it will carry on even if one of the owners dies. That owner’s interest just transfers to someone else. Another benefit of C Corporations is the ability to increase ownership interests by issuing shares of stock. For tax purposes, corporations file taxes at the corporate level. Their shareholders file taxes on the income they earn from corporations, either through dividends or capital gain income. OWNERSHIP One owner Unlimited number of general partners Unlimited number of "members" allowed Up to 75 shareholders allowed. One class of stock allowed. Unlimited number of shareholders with no limit on the classes of stock. MANAGEMENT Sole proprietor manages the business General partners have equal management rights unless they decide otherwise An Operating Agreement defines how it is to be managed. A Manager is usually designated to manage the business. Board of Directors has overall management responsibility with officers having day-to-day responsibility. Board of Directors has overall management responsibility with officers having day-to-day responsibility. TAX TREATMENT Entity is not taxed; sole proprietor pays all taxes Entity is not taxed; all income and losses passed through to partners Entity is not taxed; profits and losses are passed through to the members Entity is not taxed; profits and losses are passed through to the shareholders Corporation is taxed at the corporate level. Shareholders are taxed on any dividends received. CAPITAL CONTRIBUTIONS Sole proprietor makes any capital contributions as needed General partners contribute money or services and receive interest in profits and losses Members typically contribute money or services and receive an interest in profits and losses Shareholders usually buy stock in the one class of stock issued by the corporation Shareholders usually buy stock in the corporation. Corporation can issue common and preferred stock. If you still have questions about incorporating, please leave a comment below and I’ll do my best to get you an answer!